Were you here for my big announcement? 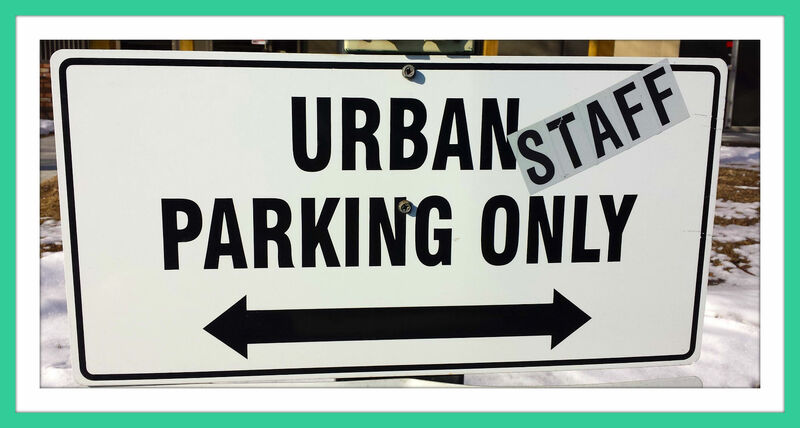 At The Urban Scrapbook Inc in Edmonton. Perk number two: inspiration is everywhere ! I get a nice store discount to indulge in and I’m getting all kinds of inspiration while I work have fun too! Perk number three: making store samples. Perk number four: using the latest products. Let’s just say, “I don’t plan to make much money at this job”. Isn’t that awesome ? LOL ! Perk number five: always learning. 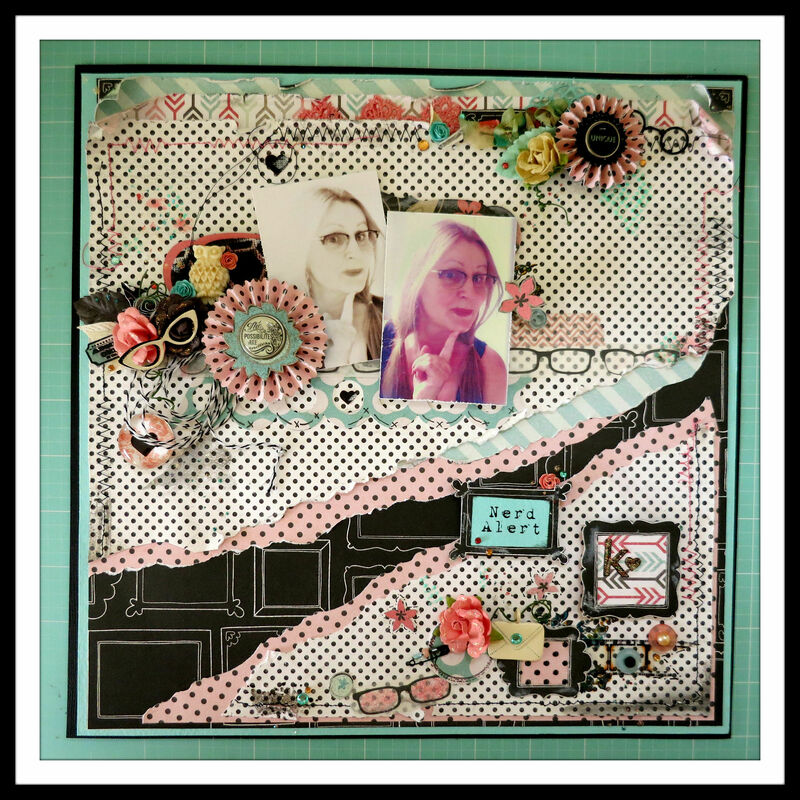 Scrapbooking isn’t just about gluing paper together anymore. Here’s some fun you might want to try on your own pages. There’s all kinds of trends and tricks to make people say WOW. In my next post, we’ll look closer at these funky trends. For now, go ahead, talk nerdy to me. So, how do you make time for projects? This is wonderful news! The more people that get to experience your joy and creativity, the better. I just love your scrapbooking suggestions. Oh, son-of-ma-gun Bacon, I’ve missed your message! So sorry. Well mom is one brave gal to take on a kitchen reno. They are misery. Another gal pal is doing the same this summer and she’s actually tearing down an addition and rebuilding for a new kitchen. Good luck with your project! That is so awesome!! Congrats!! And I’m totally with you on not having much of a paycheck 😛 On the plus side, you’ll get more for your money with the employee dscount! And I LOVE your layout! 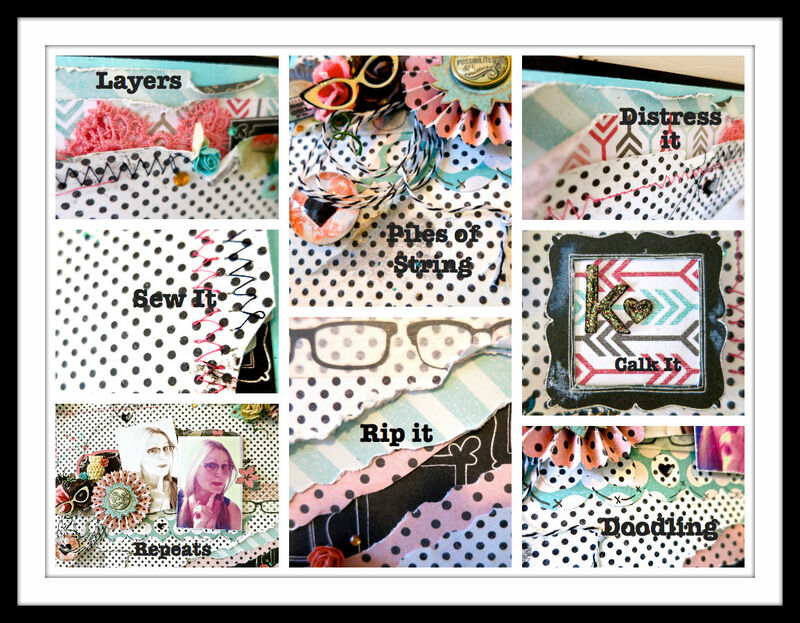 All the trends, layers, clustered goodies, the frames, wow, so much crafty goodness! And I’m not a pink fan, but, wow! Thanks Phaery Gurl, I’ve sure taken advantage of that discount already. Especially on a few new die cutters, which I can’t resist. I like to have a lot of choice when planning a page. Ha, you’re right, I just noticed that the paper does look pink in these photos. It really is more a peach colour, although I also like pink in smaller doses. We do a Page Challenge at the shop once a month. Each staff get the same kit but make it however they want. It’s interesting how they all come out completely different. It’s good exercise to use stuff I wouldn’t buy myself. I’m beginning to find out, ANY two colours can be put together really. I’m always so inspired when I come see you here. So much visual eye candy that has me licking my chops. I thrilled for your new job. It was like that when I worked in a fabric store oh, so many years ago. We could take home fabric and make samples to hang in the store for a month or two. Then my daughter could finally wear her new dress. 🙂 They are going to make money on you in so many ways. Not only will you not take home a paycheck, but everything you do will inspire sales for them. I can see it now. I want to do what Boomdee does. Sell me all that stuff. Ha Ha. By golly it always works. How are you going to work, craft and move???? Exciting and terrifying all at once, I’d think. I also didn’t know what washi tape was. Have never seen it before. I’ll have to look next time I get a chance. Hugs and more hugs. 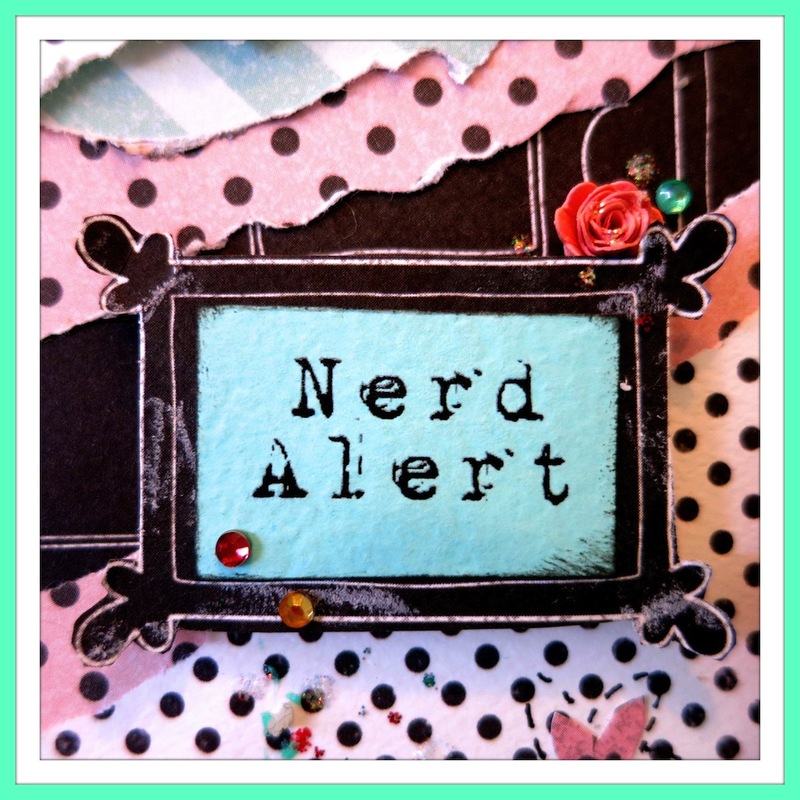 Hey, do you mind if I use your “nerd alert” pic as a widget on the sidebar of my blog? It’s a perfect disclaimer for me! Seriously, this is one fun page. Quintessentially Boomdee! BEAUTIFUL page! Maybe eventually you will make money once you have tried everything out. hard to say! You must be over the moon to be able to spend so much time on your craft. I get pretty cranky when I can’t and I don’t think until it gets cold again and snows I will have much time to the crafty bits, but maybe I will force myself to make time. You have a knack for this my dear, I think they should give you a raise already. HA! I’m just happy for the discount really. They’ve given me the same discount as gals who’ve been there for a long time and work more. So very generous 😀 They’re all a lot of fun, cheery and creative too. So all around, it’s super duper cool. Loving it! Thanks for cheering me on Sunshine. I probably will never make a dime because we get new stuff every week. But that’s A-ok with me. I bet you’re crazy busy in the garden and the rest of your gorgeous property. I used to but indoor hobbies on the back burner when I had a big yard too. Summer’s too short to always be inside. I hope you can sneak a few hours here and there to do what you love, other than gardening of course. Big hugs xoxoK Happy Mother’s Day to you Diane! LOL, this is Pauline’s unused side of the brain saying thank you for coming on by and contributing all that cleverness to my comments today, or yesterday if you’re now sleeping. Maybe you call Washi tape something else on Taz Island, it’s been around for a bit. It’s basically paper tape. I like it because it’s easily lifted off a project and repositioned if you change your mind. The glasses were so fun on one and they other one is an awesome sea foam green. Don’t discount your crocheting skills. I’ve tried to learn and didn’t remember all the stitches for more than a day. It’s very hip these days. I see it making a big comeback with very retro styles reappearing in the stores. I fell hard for this collection by ‘My Minds Eye’ for the colours and graphics. I’ll have to give them a heads up on the cot thing, LOL. I was there today to have a good looks through the whole store. So much new stuff and scrappers will be in asking for it in no time. A store sample is just a page or card or project made with a current product line. It’s fun to see what you can do with a collection, so staff contribute projects to display throughout the store. We get to flex our creativity and shoppers (hopefully) find something about your project that they love and buy. Do hope you and ‘the boys’ are enjoying a fine fall while we wait patiently for spring. Not too warm here today. I think it got to 4 C or 40 F…….yeesh. I think you Canadians are hogging winter again. I am going to have to speak to the Geneva convention (or whoever is in charge) and get you to release your grip. Not that its all that warm here (0C) BUT its the principle of the thing! Good to hear that they have channeled your creative sticky tape over there in order to make it both useful AND pretty…still to get that here BUT we do get Elastoplast with pictures on so I reckon my scrap-booking career is just about to blossom… crochet is Über hip darling, pity all I can do is treble and double and I seem to be only able to go in one direction and around…and around…and around…my current granny square is approaching magnificence and is almost the size of a king sized bed. Earl has been eyeing it off and I can’t leave it anywhere unattended as otherwise it will become dog fodder. The last one…a wonderful fluffy creation made from some kind of white woolly wool (not sure what but obviously cheap and man made) took me 6 months to crochet and Earl ate it in a single sitting. It was big enough to cover a queen sized bed. I was hoping that he would get at least constipation but no, he was fine. Thats schadenfreude for ya! I would gladly send you our winter, and next years too. Except it’s being a real pill and of course I don’t want to p.o. mother nature any further or we may not have any summer too. It sounds like you sure get weather extremes there. What would your typical warm summer day be? We mostly hover between 22 C and 31 C or even 32 C. I actually enjoy it most at 23 – 25 C. Sunny but not sweltering. But beggars can’t be choosers. I guess we’ll take what we can get. I had to look up schadenfreude….fun! Between you and Pauline, my vocabulary is sure to be impressive in no time. I remember waaaaaay back when I used to work at Kohls, I spent my entire paycheck on clothes! The store probably wants you to do that anyways! Looks like the perfect place for you!!! Thank you Renegade, I hope they’re as happy about hiring me as I am to be there! Too much fun being had. 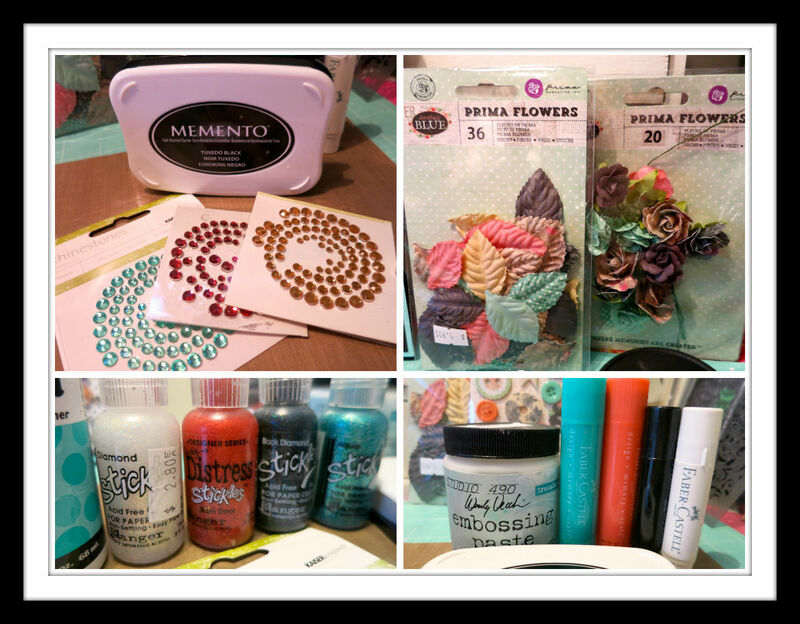 I worked the Saturday of National Scrapbook Week and yoy, I’m not the only one to think it’s the bomb. 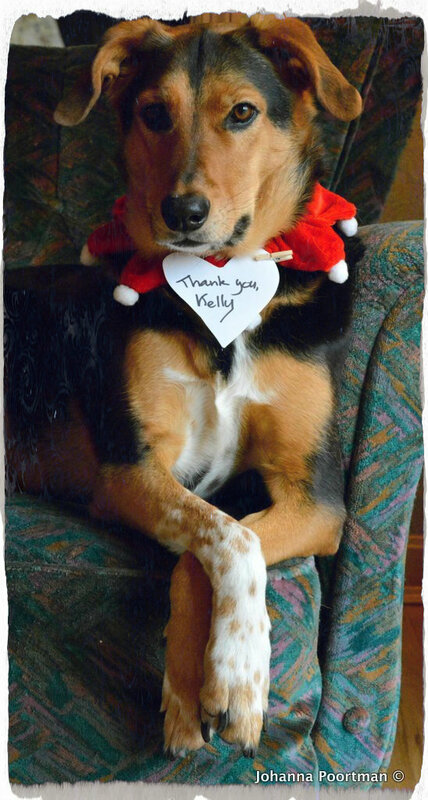 Thanks a bunch for coming over to Urban’s blog and shopping site, I’m tickled. I so wish you could pop into the shop with Teddy and Tottie to find a fun project to do together. You should send me a link to your local shop. It would be fun to see what’s shaking at a shop in your beautiful country. All of the eyeglasses stuff, I’m freaking out! It’s so cute! So are you going to teach classes or anything like that? LOL to the Boomdee Bot! I first read this on my phone, but without the benefit of pictures. It’s much more fun on the second reading with all your creative touches to ewww and ahhhh at. I’m just tickled that you work at a place close to home that you know and love, and a place to exercise all your creative talents. 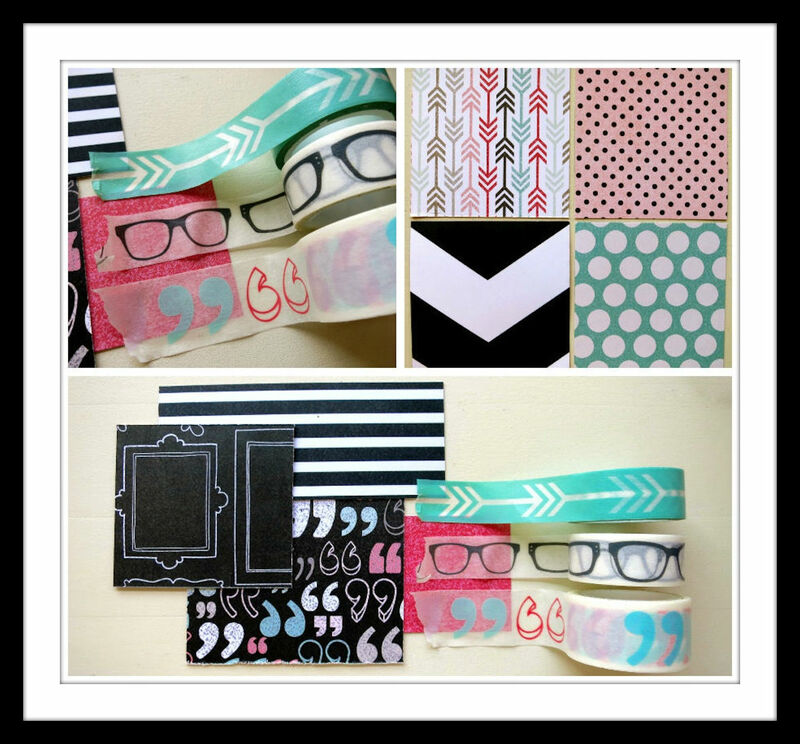 I love the way you’ve incorporated the Washi tape. I would never think of these things. Your pages are stunning. You will soon attract an even larger following of people inspired by your talents. Oh how I wish I could be there to play in your new room. I love the idea of an island. You mentioned two closets as well. I wonder if you could remove the doors to the closets and line them with shelves instead. If you paint the interior of the closets in an accent color that compliments the room, they would look more like an alcove. Just a thought. I worked with a client who runs a small sewing business out of her home, and she has a large island in the center of the room for cutting fabric. It’s very cool. That’s how I carved out my own tiny craft space. Our den was once a guest room, pre-kids, so the closet wasn’t that full. I still use the top two shelves for non-crafting items,but the bottom two shelves and the work surface are mine. Of course once Slinky moved in and we had to locate her litter box so close, the work space is now more of a drop zone. A visit to Edmonton might be in order! To see the place of employment and the new craft room (and the house that goes with it!). So excited for you! !